No matter the level of play, a full basketball season is a long and taxing stretch for even the most conditioned athletes. With so many practices and games on the schedule, the risk of injury is always present, but there are a number of things players can do before and during the season to reduce that risk and keep themselves performing at an optimal level. 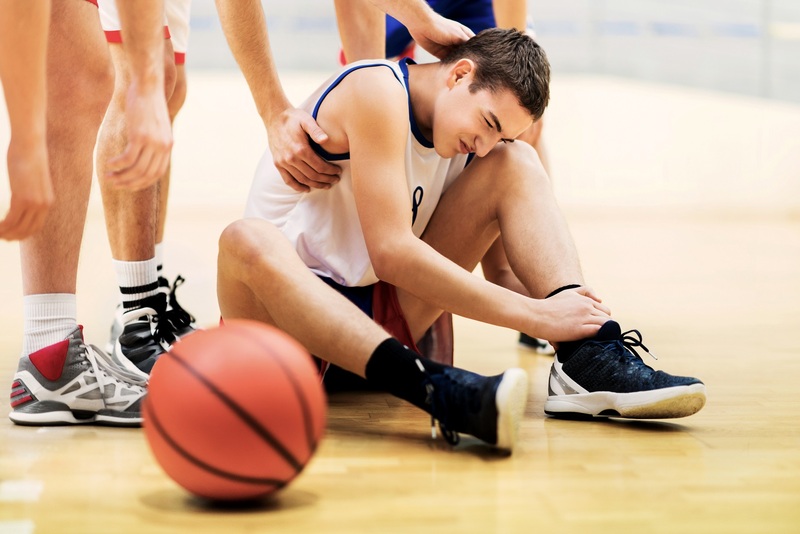 Here are some of the best ways for student athletes to reduce their risk of injury during the season to ensure they never miss time on the court. Safe workout procedures are important to player health, specifically in the weight room. When players are dealing with heavy weights, there should always be a spotter on-hand to ensure maximum safety. Players should also make sure they feel comfortable lifting a certain weight before they move on to the next. Trying to progress too quickly can result in injuries that can be serious and take months to recover from. When it comes to the weight room, steer clear of horseplay and exercise safety over proficiency. Eating right during the season keeps players healthy and keeps their energy levels high every time they take the court. Players should be eating three full meals a day, which can be a tough habit to consistently follow, especially for student athletes who can find it all too easy to skip breakfast or eat four candy bars for lunch. A diet that’s high in diverse carbohydrates will provide players with the energy they need to perform well, while a protein-rich diet will also allow players to build muscle and achieve a lean yet durable body type. Knowing how to prepare for the intense physical action of full-speed basketball, either in practice or a game, is key to maintaining health during the season. Part of this means players giving themselves adequate time to get loose before jumping into full-speed play. Arriving to the court with all your equipment ready to perform is a big help to this step. Exercising proper warmup techniques in practice will transition into pre-game and ensure players are ready to perform at an optimal level every time they step on the floor. The packed schedule of a student athlete can leave minimal time for adequate sleep. Between school, socializing, and sports, there are a lot of factors that can make rest a low priority. However, a lack of quality sleep can have a negative impact on a player’s sharpness and awareness both on and off the court. Proper sleep can play a beneficial role in helping players balance the stresses of athletics and academics. Making sure a player’s equipment is game-ready is just as important as making sure their body is ready to play. Spending all offseason training without taking care of their gear can result in an injury that turns all the hours spent training into a waste. Players should ensure their shoes are in game-shape as this is of the utmost importance to avoiding injury. High-top shoes prevent ankles rolls, a proper fit prevents blisters, and a tight grip prevents slipping that can lead to pulled hamstrings, twisted knees, or worse. The best way to preserve shoe grip while getting to and from the court is with the FY-DENY. The FY-DENY is a transitional basketball shoe cover that slips easily over a player’s basketball shoes in seconds to make sure they’re the first one on the court and that their shoes are in better condition than the competition’s. Letting shoes move around freely in a gym bag helps them collect dust and natural wear over time, while wearing the shoes outside exposes them to water, mud, and grime that drastically reduce grip and the player’s ability to change direction. This poses a serious threat to players. If you’re a player on the go, you need the FY-DENY to take your game to the next level while helping prevent injury. Shop our products today.